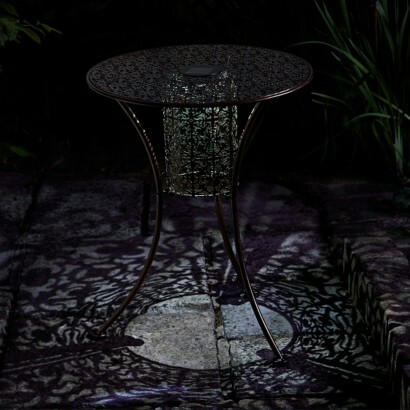 A pretty garden feature that's practical too, the intricate metal design of this stunning table casts a scrolling shadow effect when lit. Solar powered, the integral solar panel is completely wireless and charges throughout the day before sensing darkness to automatically switch on at night. 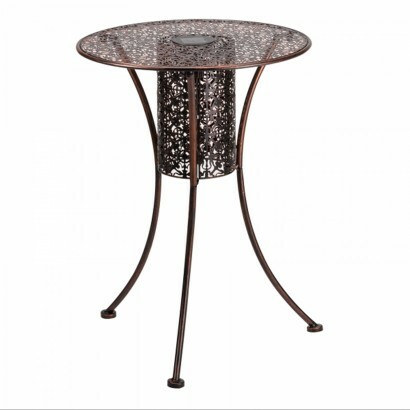 The central column of this stylish antique effect brushed metal table is lit by a white LED that casts decorative shadows onto surrounding surfaces for a striking effect. 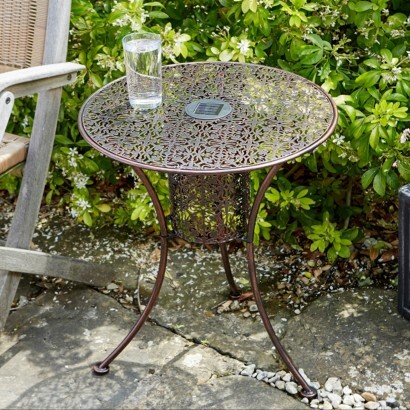 Perfect for entertaining and relaxing in your summer garden.